Need to Vent! — Movie Reviews with a Twist: OFAY OAF OTAY? 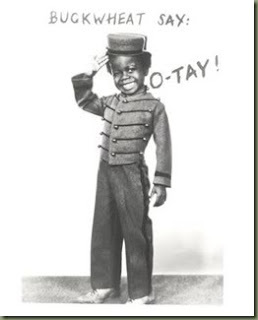 Well, it might be otay for Buckwheat, but a number of black players in the National Football League do not agree. The "ofay oaf," of course, is Mr. 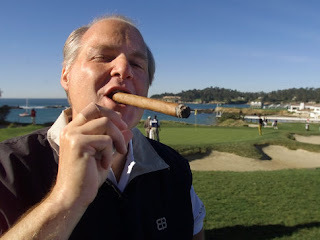 Rush Limbaugh who recently announced his interest in purchasing an ownership position in the St. Louis Rams professional football team. This is the same man who once declared, "Let me put it to you this way: the NFL all too often looks like a game between the Bloods and the Crips without any weapons. There, I said it." Yes you did, why not just refer to the league as the Nigerian Football League or some other derogatory term starting with an "N" and rhyming with the word "trigger"? Big cigar, big mouth. Little doubt he's America's Number One Racist. O.K. -- this last one is pretty funny, we'll grant you that. "All I know is from the last comment I heard. He said in (President) Obama's America white kids are getting beat up on the bus while black kids are chanting 'right on.' I mean, I don't want anything to do with a team that he has any part of. He can do whatever he wants, it is a free country. But if it goes through, I can tell you where I am not going to play. I am not going to draw a conclusion from a person off of one comment, but when it is time after time after time and there's a consistent pattern of disrespect and just a complete misunderstanding of an entire culture that I am a part of, I can't respect him as a man." 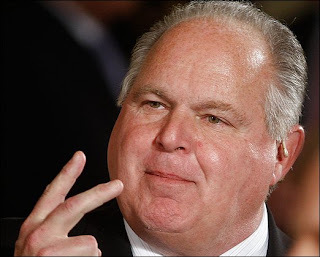 Needtovent suspects a few existing owners may also be prejudiced to one degree or another, but while it might be otay with Buckwheat, we predict, Mr. Limbaugh, the vote regarding ownership in the NFL may be close, but no cigar. Ofay is a disparaging term for a white person. Oaf, of course, is a word describing someone who is big, clumsy, slow-witted. How would you describe Rush-a-roo without resorting to words that may be inappropriate for the 13-year old girls from the Dominican Republic that he seems to favor? I think it is the perfect decision, I think it has been one of the best things they could do, because purchasing an ownership position in the St. Louis Rams professional football team is excellent.